When businesses first started migrating online, they heralded the Internet as the best new money-saving marketing tool since word-of-mouth. After all, most social media sites offer free accounts, even to businesses, and domain names can be exceedingly affordable, at less than a dollar. However, these days, most businesses soon discover that the Web is not as cheap as it once was. Though most online marketing campaigns are not as inflated as a Super Bowl ad, the amount of time and effort it takes to remain relevant online eventually starts to add up. 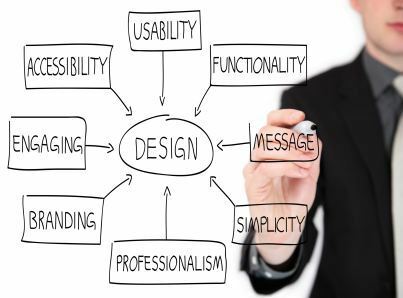 Perhaps one of the most expensive endeavors is the creation and maintenance of a business website, which must be both appealing and functional to convert customers. Thus, in efforts to have an effective site, most businesses outsource their Web design and marketing tactics - at supreme cost. Still, startups and small businesses that lack the budget for professional Web development can save quite a bit with smart online marketing choices. Before we jump straight into cheap design solutions, it is important to mention this accurate message: You get what you pay for. It is entirely possible to publish a website without spending a dime - there are free Web hosts and free website builders all over the Net. However, often the cheapest options are far from serviceable, which will ultimately hurt the earning power of struggling startups and small businesses. Instead of slashing online budgets to smithereens and building a subpar site, it might be wise for entrepreneurs to consider non-typical ways to increase profits and allocate more resources to online development. For example, some business cards can save users money with secret rewards, like expensive tech or cash back, so businesses can afford to increase online spending. While it is wise not to overspend on any aspect of business, it could be dangerous to rely on rock-bottom prices, especially on the Internet. 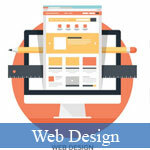 Few entrepreneurs have the talent and skill to execute excellent Web design on their own. After all, it takes not only artistic flair but programming aptitude to develop an attractive and functional site. Thus, most startups and small businesses absolutely require the expertise of an outside hire - though many cannot afford one. Fortunately, there are surprisingly numerous options for companies who have a scanty contracting budget. Perhaps the most fertile hunting ground is design schools, including universities and community colleges, where students and beginning designers are eager for work and experience. Because these designers are more interested in gaining experience and building their portfolios, their prices are especially affordable and their products are usually cutting-edge and high quality. Some established Web developers will volunteer their services to website-less businesses - but usually only for a uniquely good reason. For example, charitable organizations are usually able to receive all of their Web work pro-bono. Still, for-profit enterprises may be able to find volunteers among family and friends with a knack for online design. Perhaps the most important aspect of website development is the feature few users will see: the Web host. Business sites exist somewhere physically - not just digitally - and for potential customers to have access, businesses must purchase space on a Web host's servers. Unfortunately, not all hosts are created equal. In general, there are four types of hosting, each offering differences in reliability, speed, storage capacity, and control. The lowest-cost option, shared server hosting, is enticingly cheap, but such websites are often flimsy and unable to handle high traffic, which businesses desperately need. Meanwhile, the best possibilities, dedicated server hosting and cloud hosting, offer incredible control and unwavering power - but they often require supreme technical skill and always are remarkably costly to build and maintain. At first, startups and small businesses might be tempted to opt for the cheap hosting solution, but as business improves, they will undoubtedly need to migrate to bigger, faster hosts. Here, flexibility is key, in both development and budget. What phrases might customers type into search engines to locate your business? Where can you integrate content that contains such long-tail keywords? Have you included short keywords in each tag on every Web page? To do business in these times, a website is essential - but more accurately, a practical, eye-catching, well-designed website is essential. By creating a feasible budget and doing adequate research to find the best tools and services, any business can save money and boast one of the best sites on the Web.